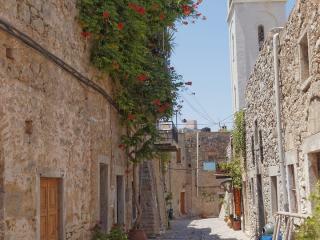 The fifth largest of the Greek islands, Chios is located in the Eastern Aegean islands and is close to Turkey. A friendly and welcoming island, it is less popular than some of the more famous Geek islands holiday destination however it offers a more traditional experience. Although a little off the beaten track and not flooded by tourists, there is still a great range of Chios accommodation to choose from, many of which offer authentic Greek hospitality. Boasting an extensive maritime history, the island also belongs to a rich historical heritage. Perhaps most famous for its chewing gum (mastic) trees, the island also offers traditional villages, pretty towns and beautiful beaches and is the ideal holiday destination for those who simply want to relax and soak up the local culture.